After Willem America’s father had been arrested for the murder of his wife, Willem and his three sisters were left without parents. It was up to the Swartz Family to take them in but their home was too small. 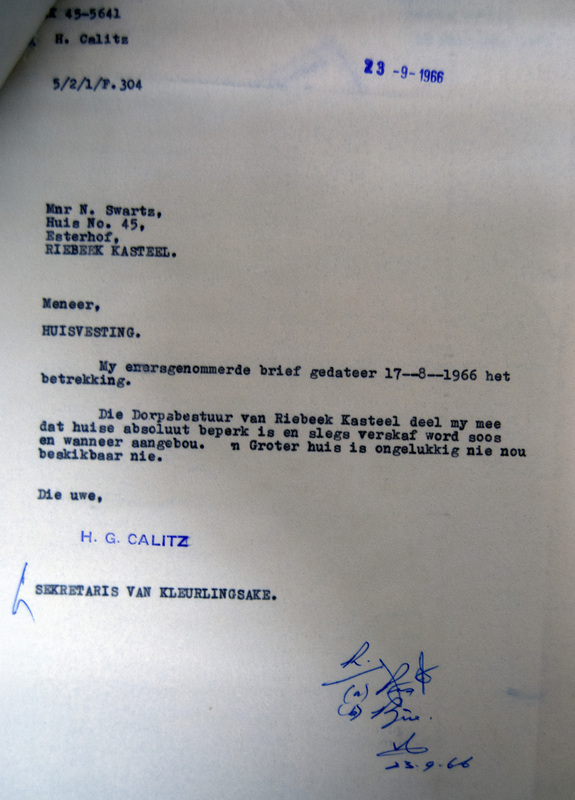 Nicolaas Swartz built an extra “hok” shed in his yard to accommodate the children. 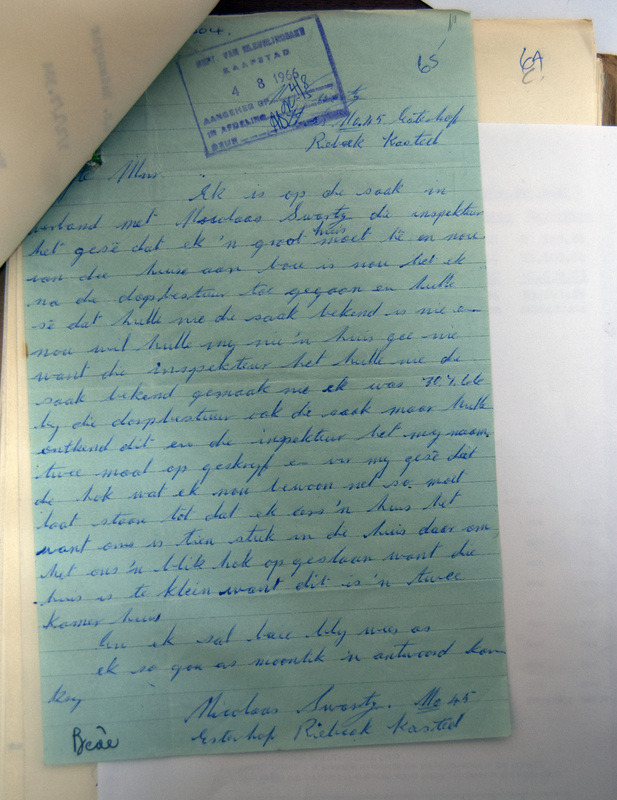 Nicolaas wrote to the Village Management board about the matter explaining that an inspector advised him to apply for a bigger house and that the “hok” was not allowed. 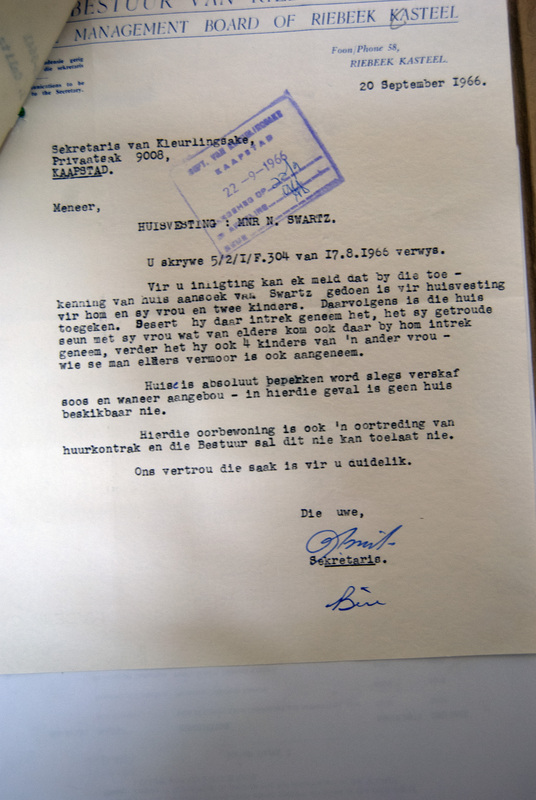 A letter from Mr. A Smit, from the Village Management Board, notes that he is aware of the matter but explains that there is no house available for him, overpopulation was in breach of the rental contract and the shed had to be taken down.